Hi, I’m Sandra Dee Robinson! I fell apart, piece by piece. Any confidence I had left me.. vaporizing through my shaking voice, knocking knees and eventual tears. (shuffle feet, exit stage right). I had nothing in that file labeled, “Self worth.” Growing up I was told by my mother that life would have been better if I hadn’t been born. That was a lie, but I owned it. So, I became an actor so I could avoid being me. I cried the whole way home in the car, not for the loss of the potential paycheck, but because I felt completely lost. I had no idea what my natural communication strengths were, or how to speak to an audience of any size without shaking. I wasn’t even good at initializing conversation (“shy” was an understatement). I was successful, and doing my “Day job,” a steady TV acting role just fine, but I needed what I later learned is called a “Breakthrough” if I was ever going to do more with my current level of success. I had to figure out a way to make my life and career work. I had to find my own voice. It was 7 years, 13 coaches, 2 therapists, three certifications, dozens of conferences and self-help books and plenty of trial-and-error when I realized I was equipped. I could make a difference. I had a voice and I had a purpose. More than anything I knew I could help others with similar realization, and after all I went through, I knew without a doubt, I could do it effectively. You could meet other’s expectations or you could exceed your own. Empowerment is the catalyst and confidence and courage are the byproducts that lead us to create the life and business that we love. The one we are designed and destined to live. I learned that no matter how educated you are, how good looking you are, talented, wealthy or famous, you still have to face the crippling self-doubt that comes with expanding current boundaries and trying something new. Let’s be real; For most of clientele, the spotlight is not what they trained for. Not everyone was born with a selfie stick in their hand. Whether you are a doctor, lawyer, business or life coach, CEO, inventor or author you probably realize that opportunities to speak, be interviewed, create a video or even a TV show are fantastic for brand awareness and revenue, when done well. With the investment of years of school, or personal experience in your field, there is a lot at stake with a spotlight opportunity. These are high risk presentations. I show you how to shine in them. Confident from the inside, out. Mindset and skills that will transform your life and business. You just have to care about your life’s mission with soul stirring fire and stop wasting your time judging yourself. You’ve got this. 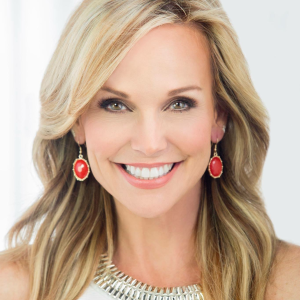 The media has titled Sandra Dee, the “Charisma Coach.” She assists companies, entrepreneurs and well-established experts to help them naturally develop authentic power behind their personal presence and communication skills. Starting as a teen, she portrayed major roles:Another World, Sunset Beach, Bold and the Beautiful, General Hospital, Days of Our Lives, + many prime time shows: CSI Miami, Criminal Minds and Two and a Half Men… among others. She attributes her consistent success in the challenging TV industry to the lessons she now has honed into effective coaching programs, workshops and seminars. Let’s take the journey together as I help you find the powerful personal presence you were born with! 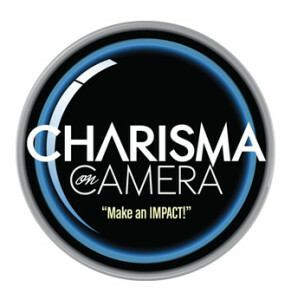 I created Charisma on Camera to help brilliant people facing the same big problem I overcame – getting stuck when it’s time to really connect with an audience on screen and on stage. Tap into their powerful personal presence. See their true passion more clearly. Find their unique story that connects with the video audience. Create rapport when speaking to the camera. Use proven strategies to come across as authentic and confident on screen. Getting back to nature often creates major breakthroughs for top-level professionals that are stuck in offices or living in high stress situations all week long. My nature-based Leadership Training Clinics (Featuring Charismatic Cowgirl Programs™) are ideal for anyone that wants to understand how to build better relationships, leadership skills and confidence in all situations in a most authentic, safe and natural way. After losing your sense of self to demands at work, home and business travel, it’s time to take a deep breath, reconnect with the support of the natural world and become more in tune with your own energy and the message it conveys. Discover new ways to develop healthier relationships that add to the abundance in your life. Horses are empathetic and astute. It’s as if they were perfectly designed to allow God to speak to you through them. At our events, every person has a different experience, but always an honest and enriching one! I’ve been a passionate animal advocate my entire life, which has greatly influenced my personal and professional goals. The power of connecting with animals is profound on many levels. In my work I have witnessed amazing transformations in children and adults when they bond with another living creature without words. The Charismatic Cowgirl™ Events and our group training are designed to help people learn how to control their energy and communicate on the most honest level through interaction with horses. These gentle beasts are nature’s preeminent readers of energy. Horses don’t care about all the achievements you’ve made, they only understand your personal presence in that moment. These day clinics help you learn to relinquish control yet be in full command of your communication with positive energy.